Carlsberg has been sponsoring various football clubs, venues and tournaments for many years. Often they incorporate the game of football into their TV advertising and on some occassions the result is just great. 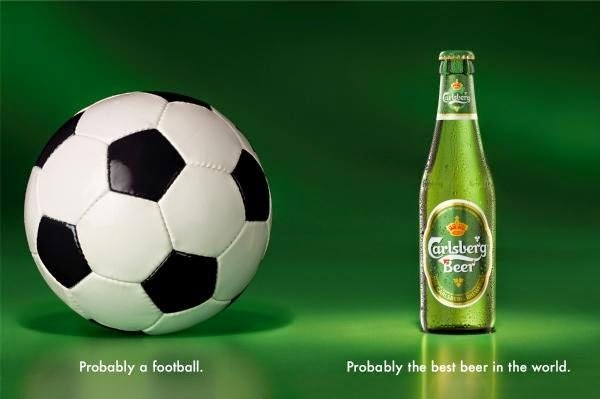 Here are the top 5 Carlsberg adverts that feature football in some capacity. Could you imagine Ireland winning the World Cup? Well, Carlsberg can! A great underdog story in this beer advert featuring the Irish national team. Just imagine getting an inspiring talk from every England icon out there. This advert is amazing and if you are an England fan this one is sure to give you some goosebumps. Funny one this. An academy to learn how to be an England fan. And when you graduate, you receive your diploma from Sir Bobby Charlton. Amazing! This commercial features everything from the Premier League. Announcers, ushers, fans and players. This one's got it all. What a great advert this one. Incorporating some of the best English football legends available, in a "pub league" themed commercial. The slight humor in this one also hits the spot just right.